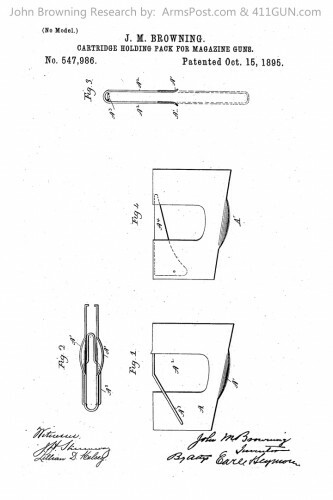 This patent was simply a Cartridge Holding Pack For Magazine Guns. John Moses Browning was granted US Patent 547986 on October 15th, 1895. He had applied for this patent on July 30th, 1895.